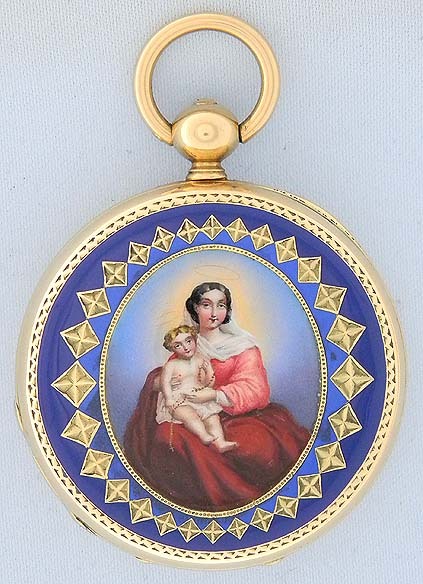 Fine and lovely Swiss 18K gold and painted enamel ladies antique pendant watch by Breting Freres circa 1860. 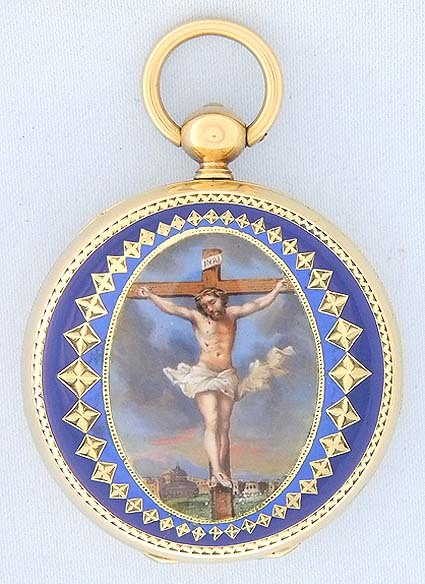 The case with painted enamel scenes of the crucifix and madonna and child within gold and blue enamel borders. 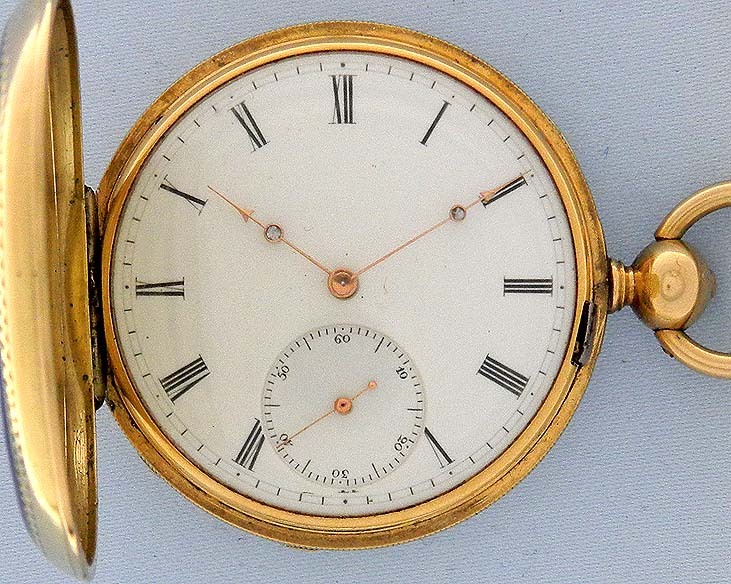 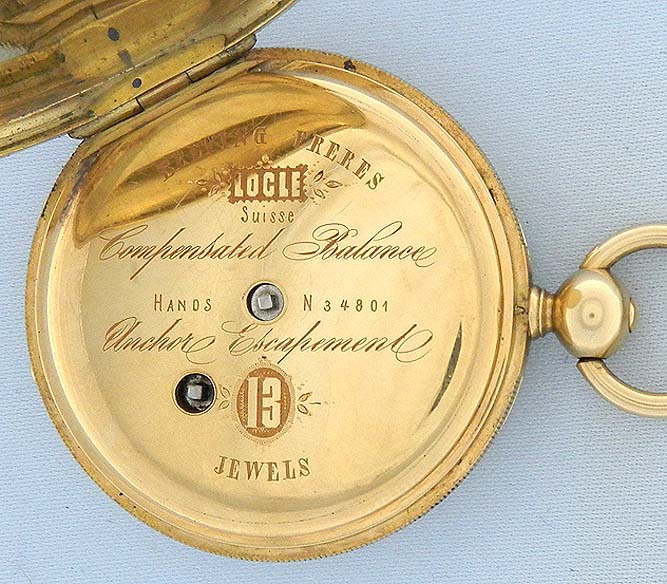 White enamel dial with gold stone-set hands. 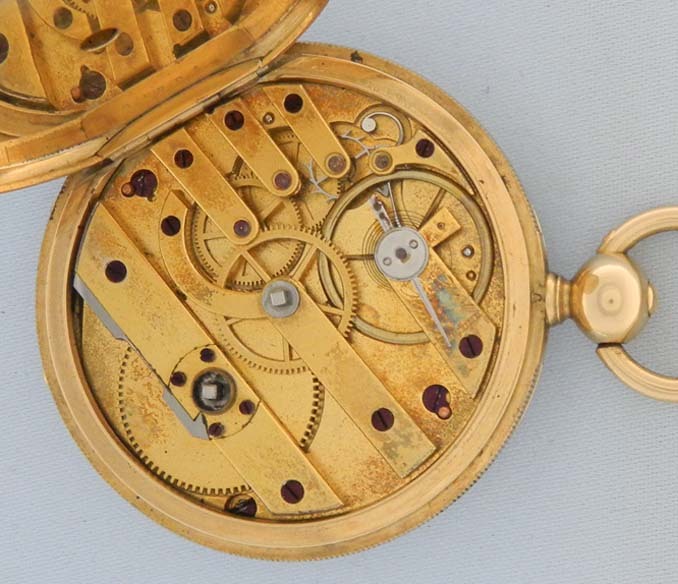 Gilt 13 jewel lever movement with counterpoised pallet fork.